Did you accidently close IE web browser while surfing internet? There is no need to recall previously opened websites and open them manually one by one. You can use ‘reopen last browsing session’ feature to restore last closed websites / tabs in Internet Explorer 9 browser. This will automatically load previously closed websites, so that you can continue web surfing. 1. Open Internet Explorer 9 browser. You can confirm on version of Internet Explorer and download Internet Explorer 9 if old version of IE is installed on the computer. 2. 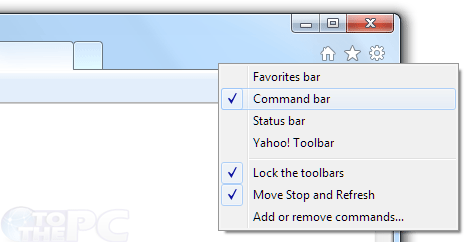 Click on ‘Tools’ on the command bar and then click ‘Reopen last browsing session’ option. Tools options may not be visible, if command bar in hidden in IE9 on your computer. You can easily un-hide and show command bar. Right click on empty space on right side of ‘new tab’ button and then click ‘command bar’ to display the command bar with tools option. which software do you use to watermark your images?